Shelburne, MA (July 3, 2018) – Yesterday we reported on a serious head on collision which occurred on Route 2 in Shelburne, Massachusetts. In that crash, one driver was rushed to the hospital for emergency medical treatment. Unfortunately, we have now learned that the driver has passed away from their injuries. Police in Shelburne have identified the driver as 58 year old Thomas Gadmoski. Gadomski’s residence is not known at this time. Gadomski and another vehicle were traveling on Route 2 Sunday morning when they collided leaving both drivers with serious injuries. The other driver remains hospitalized at Bay State Medical Center in serious condition. Route 2 was closed for over 5 hours Sunday while police investigated and cleared the wreckage. The accident investigation is still ongoing. Officers with the Shelburne police as well as the Massachusetts State Police Reconstruction Team are continuing to put together a cause for the crash. It is not known whether charges will be filed for the crash. At this time, the police investigation into this crash is ongoing. It would, therefore, be speculation to say which driver may be legally responsible for this crash. 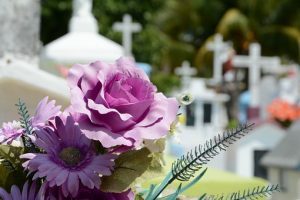 However, when a death occurs in Massachusetts due to the negligence of another, the heirs of the deceased may bring a claim for wrongful death against the responsible party. We know that no amount of money can replace the friend or family member who has been taken too soon by the negligence of another. However, in these types of situations, the law does provide certain remedies to those left behind.